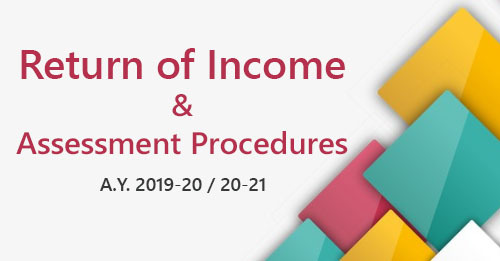 then, the amount obtained by the assessee or the value of benefit accruing to him shall be deemed to be profit and gains of business or profession and accordingly chargeable to income-tax as the income of that previous year. It may be mentioned that the business or profession, in respect of which the allowance or deduction has earlier been made, may or may not be in existence in the previous year in which such amount is obtained or the benefit accrued to him. Where the assessee purchased material from another party for Rs.1,00,000 during the previous year 2016-17 and charged it to the Profit and Loss A/c of that year. In the previous year 2017-18, the assessee received a claim of Rs.20,000 against this material as it was found to be defective. This sum of Rs.20,000 shall be treated as the income of the previous year 2017-18. Similarly, if X purchases goods on credit from Y for Rs.1,20,000 in the previous year 2016-17 but due to certain dispute the payment was not made to Y. However, X debited his Profit and Loss A/c by the amount of Rs.1,20,000 and the expenditure was allowed to him. Subsequently, during the previous year 2017-18, Y made a settlement with X and agreed to receive Rs.90,000 as full and final settlement of his dues. The remission of Rs.30,000 shall be treated as the income of X for the previous year 2017-18.
the amount obtained by successor in business or the value of benefit accruing to the successor in business shall be deemed to be income under the head profits and gains from business or profession of the successor of that previous year. is Sold, Discarded, Demolished or Destroyed and the 'Moneys Payable' in respect of such building, machinery, plant or furniture, as the case may be, together with the amount of scrap value, if any, exceeds the 'written down value', then, so much of the excess as does not exceed the difference between the 'actual cost' and the 'written down value' shall be chargeable to income-tax as income of the business of the previous year in which the moneys payable for the building, machinery, plant or furniture became due. where the building, machinery, plant or furniture is sold, the price for which it is sold. 'Sold' includes a transfer by way of exchange or a compulsory acquisition under any law for the time being in force but does not include a transfer, in a scheme of amalgamation of any Asset..
Where any capital asset used in scientific research is sold without having been used for other purposes and the sale proceeds, together with the amount of deduction allowed under section 35, exceed the amount of the capital expenditure incurred on purchase of such asset, such surplus (i.e., sale price) or the amount of deduction allowed, whichever is less, is chargeable to tax as business income in the year in which the sale took place. For example, the assessee purchases a machinery for Rs.90,000 during the previous year 2013-14 for scientific research and is allowed a deduction of Rs.90,000 u/s 35. This machinery is sold during the previous year 2017-18 for Rs.30,000. In this case Rs.30,000 shall be treated as a business income for the previous year 2017-18. It may be noted that where the asset, after it ceases to be used for scientific research included is used for the purpose of business or profession, then such asset will form part of the block of asset and its 'cost of acquisition' to be included in the block of assets shall be Nil. Subsequently if this asset is sold, section 41(3) will not be applicable as the asset has been included in the block. 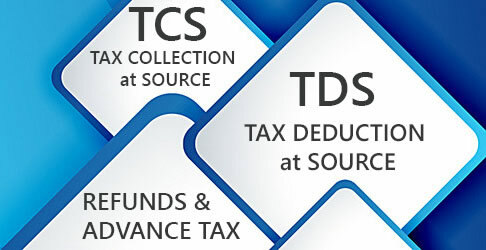 Where any bad debt has been allowed as deduction under section 36(1)(vii) and the amount subsequently recovered on such debt is greater than the difference between the debt and the deduction so allowed, the excess realisation is chargeable to tax as business income of the year in which the debt is recovered. An assessee sells goods worth Rs. 40,000 on credit on October 1, 2003. By writing off Rs. 15,000 out of Rs. 40,000, he claims a deduction of Rs. 15,000 for the previous year 2003-04 under section 36(1)(vii) as bad debts. On June 10, 2018, he recovers Rs. 28,000 from the defaulting debtor. In this case, Rs. 3,000 [i.e., Rs. 28,000 minus (Rs. 40,000—Rs. 15,000)] is chargeable to tax for the previous year 2018-19 under section 41(4). For this purpose, it is, however, immaterial whether the business of the assessee is in existence (or not) during the previous year in which recovery is made. Where a deduction has been allowed in respect of any special reserve created and maintained under section 36(1)(viii), by certain financial institution, banking company, co-operative bank and a housing finance company etc. if any amount is subsequently withdrawn from the special reserve, it shall be deemed to be the profits and gains of business or profession and accordingly be chargeable to income-tax as the income of the previous year in which such amount is withdrawn, whether the business is in existence in that previous year or not. The business or profession is discontinued. Loss of such business or profession pertaining to the year in which it is discontinued could not be set-off against any other income of that year. Such business is not a speculation business. After discontinuation of such business or profession, there is a receipt which is deemed as business income under section 41(1), (3), (4) or (4A). The unabsorbed loss pertaining to the year in which business/profession was discontinued is permitted to be set off against notional business income under section 41(1), (3), (4) or (4A) even after 8 years. It can be set off even if the return of loss is not submitted in time. that there may be income received after the discontinuance of the business or profession which will also be treated as deemed income of the previous year in which it is received. Where any business is discontinued in any year, any sum received after the discontinuance shall be deemed to be the income of the recipient and charged to tax accordingly in the year of receipt, if such sum would have been included in the total income of the person who carried on the business had such sum been received before such discontinuance. Where any profession is discontinued in any year on account of the cessation of the profession by, or the retirement or death of, the person carrying on the profession, any sum received after the discontinuance shall be deemed to be the income of the recipient and charged to tax accordingly in the year of receipt, if such sum would have been included in the total income of the aforesaid person had it been received before such discontinuance.